Please take a look at the info-magazine I created to put in the hands of those I meet with. Download it for free! Please note that if you did not select the option to add yourself to the email list, you will receive no further updates about this project. You may re-sign the petition or join the email newsletter yourself, here. I am prepared to go forth with this project by hook or by crook, and alone if necessary. Originally, I did not ask for any help beyond encouragement and prayer. God plus one is a majority, as the saying goes. However, I should have expected that the very folks who I thought would encourage me would also want to know what they can do to help besides encouragement, and costs have mounted and needs have become apparent, so, here goes..
First and foremost, though it seems cliche, your prayers are critical. Prayer for courage on my part, receptiveness on the part of legislators and their aides, and then prayers for courage for those folks to do what is right and necessary. The problem ultimately is a spiritual problem, not a political problem. The powers arrayed against the human race are not flesh and blood, even if it is through flesh and blood that they carry out their schemes. They are great schemers, implementing their plans across generations, and even centuries. We forget this at our peril. So, prayer. You can turn your prayers on the following points, as well. Contacts. If you know persons of influence, in particular those at the crossroads of power, your help in connecting them to me would be appreciated. These can include legislators, judges, executive branch officials, and even the staffers of these same. It can also include lobbyists. It can include corporate executives or other people who spread influence by cash; if they are conservative, and especially if they are Christian, these folks are in a position to shape what programs, agencies, and projects happen–or don’t happen. Similarly, people who may be interested in the project and you think should know about it (for whatever reason) are people I’d love to hear from. Your personal intercession and introduction with those contacts is critical. If you really want to help, then this is the most important thing that you can help me with, as I have very few contacts at that level. More signatures. I am informed that I am more likely to gain a hearing if I come to people with more than just my self, and instead stand in representation of others–the more ‘others’, the more likely I can get a hearing. You can either send people directly to the petition page, or you can send them first to my overview/explanation page. The more the merrier. Research Assistant. I have invested hundreds of hours in research in the last 6 months alone, largely nailing down documentation for things that I believed but I needed to source. But I need good information about the legislators and policy makers I plan on approaching, including such banal things as what legislation they are currently considering–and help identifying which bits of legislation are illustrative of the ‘culture of death.’ I also need help identifying which people are best worth my time to try to connect with. Can you help with this? Cash. Donations are handled through an arrangement with Athanatos Christian Ministries. Use this link to make a donation by check, Dwolla, credit card, or Paypal. Neither ACM or PIRC is tax exempt. I think you’ll be able to figure out what these items might entail to you. 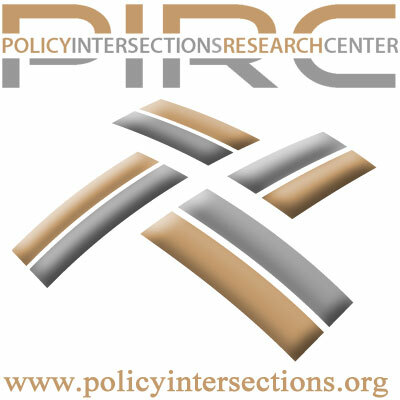 If you need clarification, wish for more guidance, or want to be involved above and beyond these things, please email me at director@policyintersections.org. If I can think of specific needs, I’ll post them here and send them out to my email list. Join that list through this form. One Response to Thank you for your signature! This idea is great. We need to collectively let the government know we will no longer allow the few to speak for the masses. What’s going on in our country is not a right-now situation. This will affect generations to come, starting with our very own children. Please consider doing your part, no matter how big or small.